Very inspired by Cuttingcloth today, amazing attention to detail. What a wonderful way to use fabric, we just love all their projects. We are great fans of Miniki Kim A.K.A Zeriano’s amazing work and so happy to see the LemonTree collection appearing in her projects. 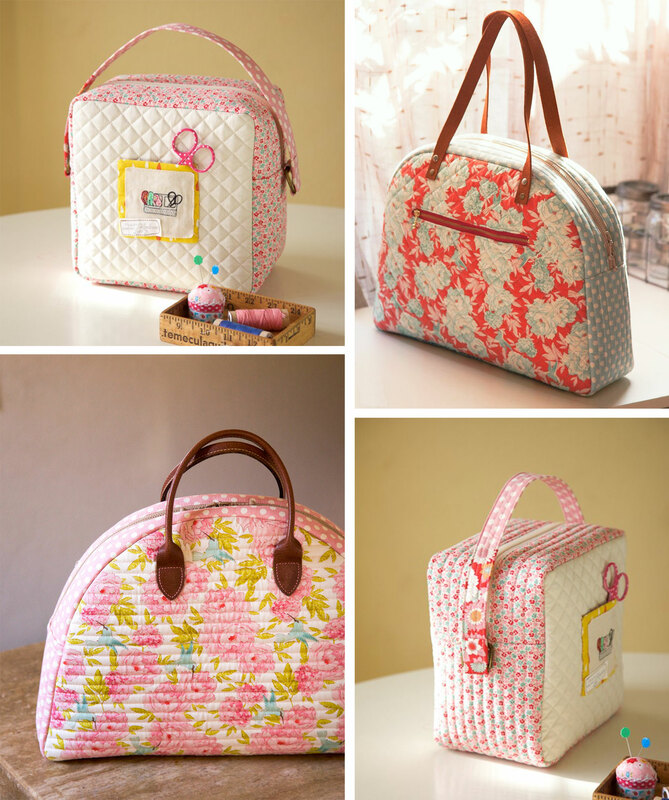 Check out these lovely bags! Make sure you visit Zeriano’s wonderful blog and instagram. Patterns are available in her shop Sewing Illustrations. We where so exited when The LemonTree Collection was chosen for Homespun’s 2018 BOM, and even more exited when we saw the result. The quilt titled “My Butterfly Patch” has been designed by the extremely talented and creative Sarah and Rachel Roxburgh of Roxy Creations. This quilt is so gorgeous, thank you Sarah and Rachel for your amazing work! Homespun magazine will launch one block each month for 9 months and one further month for finishing (total of 10 months). The first block is released in the February issue today! The magazine is available from shops and newsagents in Australia, or digitally through Zinio, the Apple Newstand or Google Play. Visit the Roxy Creations blog where you will find links to all of Rachel and Sarah’s social media. In 2017, as Tilda turned 18, we started our own production and distribution company Tilda Fabrics. The new company is responsible for the production, marketing and distribution of Tilda products. We have a fantastic team working together to manufacture the best possible quality products, and work closely with Tilda wholesalers around the world. 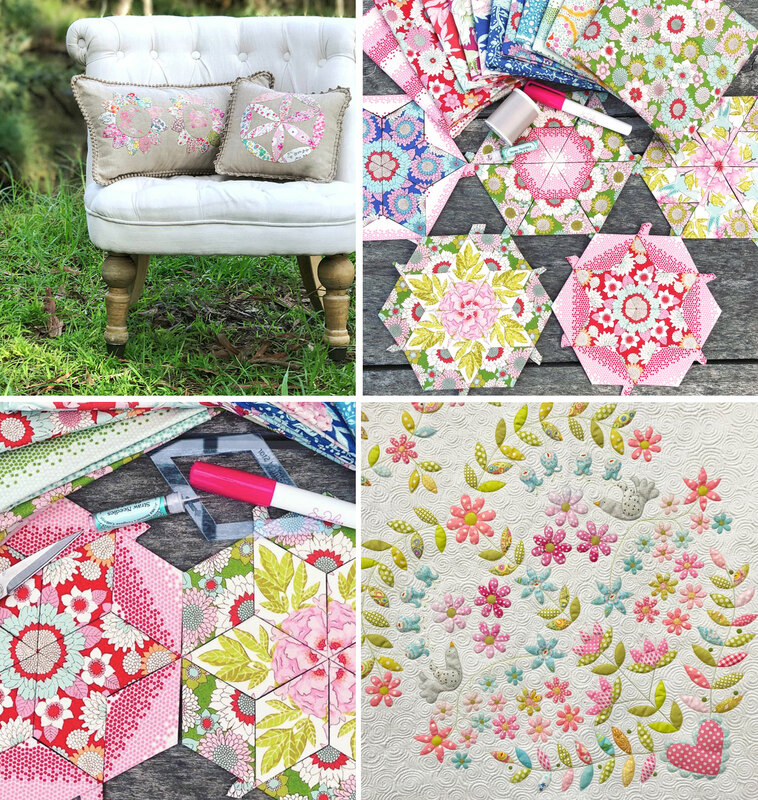 The first collection produced by Tilda Fabrics is this spring’s LemonTree collection. We have already run the new company for almost a year and all the details are in place. It has been a very exciting year for us. We would like to thank all our partners for making this change such a great experience! 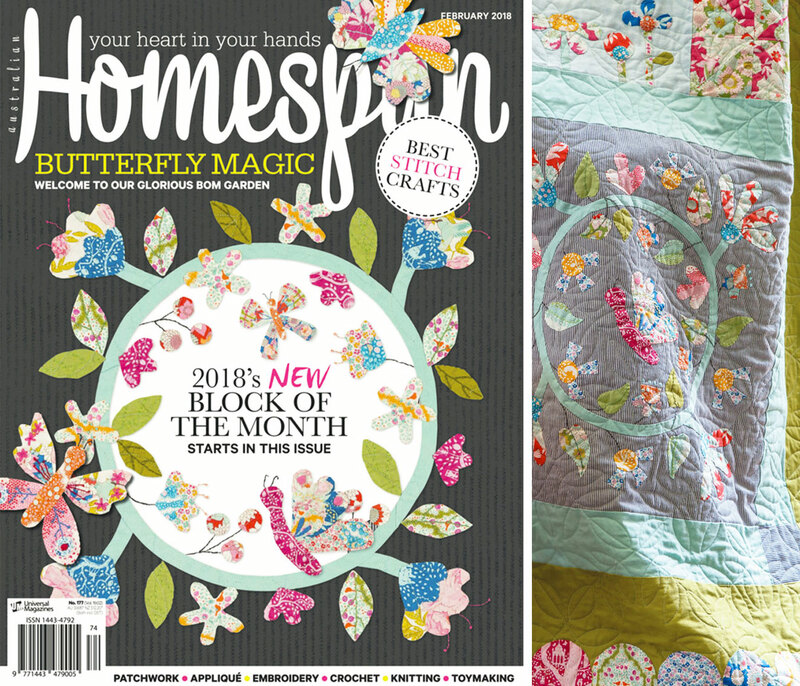 The LemonTree collection will be in shops by February and we are very exited that it’s the feature collection in Homespun magazine’s 2018 BOM! All models shown in our LemonTree pictures are part of the upcoming book Sunshine Sewing. Check out the LemonTree Catalogue here. 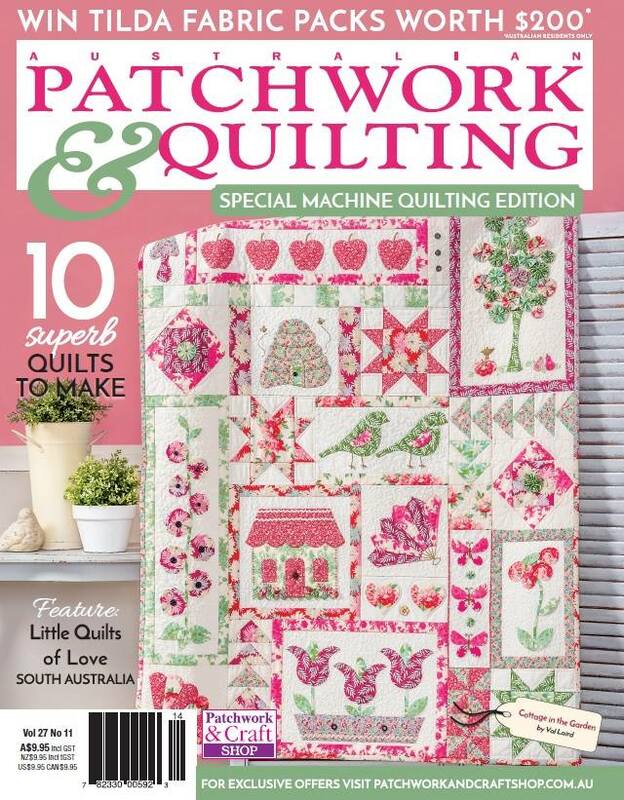 Australian Patchwork & Quilting February issue Vol 27 No 11 features this lovely quilt made by Val Laird (Journey of a Stitcher). The quilt is called “Cottage In The Garden” and is sewn in Tilda Cottage Fabrics. If you don’t have access to the Australian magazine scene, Val plans to put the quilt in her Craftsy Store in a couple of months.